Blindfolded : How can he do it? told that exactly 10 of these cards are facing up. each with the same number of cards facing up. but may use any strategy that occurs to him to do so. How can he do it? 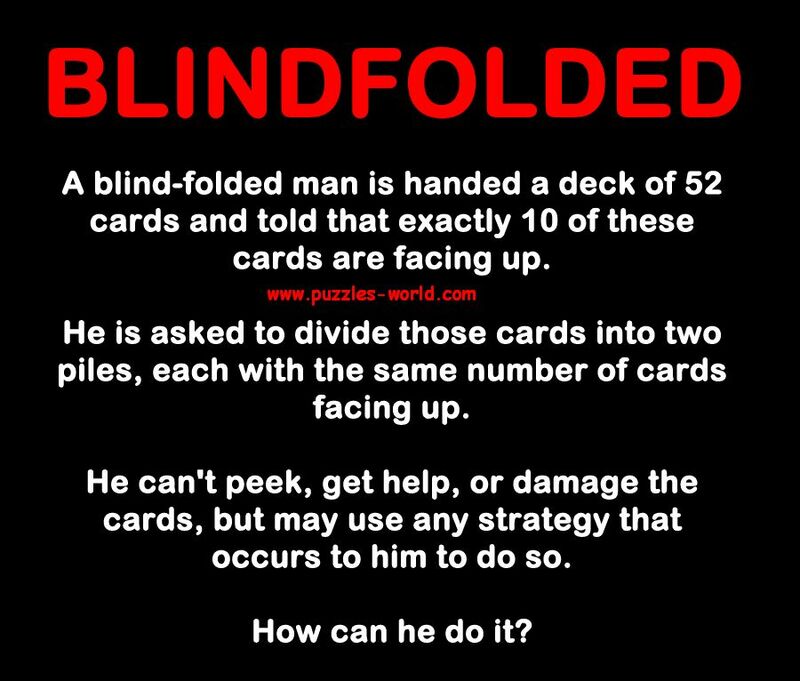 The blind-folded man divides the cards into two piles with 10 and 42 cards each. He then flips all cards in the smaller pile.